WARNING: Rarely, serious (sometimes fatal) asthma-related breathing problems may occur in people with asthma who are treated with drugs similar to formoterol (long-acting beta agonists). In people with asthma, this product should only be used when one long-term medication (such as inhaled corticosteroids) does not control breathing problems. Before using this medication, it is important to learn how to use it properly. Discuss the risks and benefits of this medication with your doctor. USES: This product is used to control and prevent symptoms (wheezing and shortness of breath) caused by asthma or ongoing lung disease (such as COPD). It contains 2 medications: budesonide and formoterol. Budesonide belongs to a class of drugs known as corticosteroids. It works by reducing the irritation and swelling of the airways. Formoterol belongs to the class of drugs known as long-acting beta agonists. It works by opening airways in the lungs to make breathing easier. Controlling symptoms of breathing problems can decrease time lost from work or school. This medication must be used regularly to be effective. It does not work immediately and should not be used to relieve sudden asthma attacks. If an asthma attack occurs, use your quick-relief inhaler (such as albuterol, also called salbutamol in some countries) as prescribed. HOW TO USE: Read the Medication Guide provided by your pharmacist before you start using this medication and each time you get a refill. Read the patient instructions for directions on how to use this inhaler properly. If you have any questions, ask your doctor or pharmacist. Follow the instructions for priming the inhaler if you are using it for the first time, if you have not used it for more than 7 days, or if the inhaler was dropped. When priming the inhaler, make sure to spray away from the face so that you do not get the medication into your eyes. Shake the inhaler well for 5 seconds before each use. Inhale this medication by mouth as directed by your doctor, usually twice daily (in the morning and evening, 12 hours apart). Gargle and rinse your mouth with water after using this medication to help prevent irritation and yeast infections (thrush) in the mouth and throat. Do not swallow the rinse water. Clean the inhaler once a week with a dry cloth. Do not take the inhaler apart. The dosage is based on your medical condition and response to treatment. Use this medication regularly in order to get the most benefit from it. This medication works best if used at evenly spaced intervals. To help you remember, use it at the same times each day. Do not increase your dose, use this medication more frequently, or stop using it without first consulting your doctor. Also, do not use other long-acting beta agonists while using this medication. If you are regularly using a different corticosteroid taken by mouth (such as prednisone), you should not stop using it unless directed by your doctor. You may have withdrawal symptoms if the drug is suddenly stopped. Some conditions (such as asthma, allergies) may become worse when the drug is suddenly stopped. To prevent withdrawal symptoms (such as weakness, weight loss, nausea, muscle pain, headache, tiredness, dizziness), your doctor may direct you to slowly lower the dose of your old medication after you begin using this product. Consult your doctor or pharmacist for more details, and report any withdrawal reactions immediately. See also Precautions section. If you have been using a quick-relief inhaler (such as albuterol, also called salbutamol in some countries) on a regular daily schedule (such as 4 times daily), you must stop this schedule and only use the quick-relief inhaler as needed for sudden shortness of breath/asthma attacks. Consult your doctor for details. It may take 1 week or longer before you get the full benefit of this drug. Tell your doctor if your condition persists or worsens. Learn which of your inhalers you should use every day and which you should use if your breathing suddenly worsens. Ask your doctor what to do if you have worsening cough or shortness of breath, wheezing, increased sputum, worsening peak flow meter readings, increased use of your quick-relief inhaler, or if your quick-relief inhaler does not seem to be working well. Learn when you can self-medicate and when you should get medical help right away. SIDE EFFECTS: Headache, throat irritation, or stomach upset may occur. If any of these effects persist or worsen, tell your doctor promptly. Remember that your doctor has prescribed this medication because he or she has judged that the benefit to you is greater than the risk of side effects. Many people using this medication do not have serious side effects. 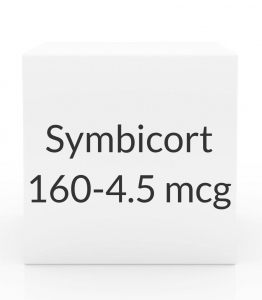 Infrequently, this medication may cause severe sudden worsening of breathing problems/asthma immediately after use. If you have sudden worsening of breathing, use your quick-relief inhaler and get medical help right away. Tell your doctor right away if any of these unlikely but serious side effects occur: white patches on tongue/in mouth, signs of infection (such as fever, persistent sore throat), mental/mood changes (such as nervousness), trouble sleeping, vision problems (such as blurred vision), increased thirst/urination, muscle cramps, shaking (tremors). Get medical help right away if any of these rare but serious side effects occur: chest pain, fast/slow/irregular heartbeat, severe dizziness, fainting, seizures. A very serious allergic reaction to this product is rare. However, get medical help right away if you notice any symptoms of a serious allergic reaction, including: rash, itching/swelling (especially of the face/tongue/throat), severe dizziness, sudden trouble breathing. This is not a complete list of possible side effects. If you notice other effects not listed above, contact your doctor or pharmacist. In the US - Call your doctor for medical advice about side effects. You may report side effects to FDA at 1-800-FDA-1088. In Canada - Call your doctor for medical advice about side effects. You may report side effects to Health Canada at 1-866-234-2345. PRECAUTIONS: Before using this medication, tell your doctor or pharmacist if you are allergic to budesonide or formoterol; or if you have any other allergies. This product may contain inactive ingredients, which can cause allergic reactions or other problems. Talk to your pharmacist for more details. Before using this medication, tell your doctor or pharmacist your medical history, especially of: current/past infections (such as tuberculosis, herpes), high blood pressure, heart disease (such as chest pain, heart attack, irregular heartbeat), overactive thyroid (hyperthyroidism), seizures, bone loss (osteoporosis), eye problems (such as cataracts, glaucoma), diabetes, liver disease. Formoterol may cause a condition that affects the heart rhythm (QT prolongation). QT prolongation can infrequently result in serious (rarely fatal) fast/irregular heartbeat and other symptoms (such as severe dizziness, fainting) that need medical attention right away. The risk of QT prolongation may be increased if you have certain medical conditions or are taking other drugs that may affect the heart rhythm. Before using this product, tell your doctor or pharmacist of all the drugs you take and if you have any of the following conditions: certain heart problems (heart failure, slow heartbeat, QT prolongation in the EKG), family history of certain heart problems (QT prolongation in the EKG, sudden cardiac death). Low levels of potassium or magnesium in the blood may also increase your risk of QT prolongation. This risk may increase if you use certain drugs (such as diuretics/"water pills") or if you have conditions such as severe sweating, diarrhea, or vomiting. Talk to your doctor about using this medication safely. This medication may mask signs of infection. It can make you more likely to get infections or may worsen any current infections. Therefore, wash your hands well to prevent the spread of infection. Avoid contact with people who have infections that may spread to others (such as chickenpox, measles, flu). Consult your doctor if you have been exposed to an infection or for more details. If you have switched from a corticosteroid taken by mouth (such as prednisone tablets) to this inhaler within the past 12 months, or if you have been using this product in higher-than-usual doses for a long time, it may be more difficult for your body to respond to physical stress. Therefore, before having surgery or emergency treatment, or if you get a serious illness/injury, tell your doctor or dentist that you are using this medication or have used a corticosteroid taken by mouth within the past 12 months. Tell your doctor immediately if you develop unusual/extreme tiredness or weight loss. Carry a warning card or medical ID bracelet that says you use (or have used) corticosteroid medications. Before having surgery, tell your doctor or dentist about all the products you use (including prescription drugs, nonprescription drugs, and herbal products). This medication may slow down a child's growth if used for a long time, but poorly controlled asthma can also slow down growth. The effect on final adult height is unknown. See the doctor regularly so your child's height can be checked. During pregnancy, this medication should be used only when clearly needed. Discuss the risks and benefits with your doctor. Budesonide passes into breast milk. It is unknown if formoterol passes into breast milk. Consult your doctor before breast-feeding. DRUG INTERACTIONS: Drug interactions may change how your medications work or increase your risk for serious side effects. This document does not contain all possible drug interactions. Keep a list of all the products you use (including prescription/nonprescription drugs and herbal products) and share it with your doctor and pharmacist. Do not start, stop, or change the dosage of any medicines without your doctor's approval. A product that may interact with this drug is: aldesleukin. OVERDOSE: If overdose is suspected, contact a poison control center or emergency room immediately. US residents can call the US National Poison Hotline at 1-800-222-1222. Canada residents can call a provincial poison control center. Symptoms of overdose may include: shaking (tremors), chest pain, fast/irregular heartbeat, seizures. NOTES: Do not share this medication with others. Laboratory and/or medical tests (such as lung function tests, blood pressure, bone density tests) may be performed to monitor your progress or check for side effects. Consult your doctor for more details. Learn to use a peak flow meter, use it daily, and promptly report worsening asthma or other breathing problems (such as readings in the yellow/red range or increased use of quick-relief inhalers). Avoid allergens/irritants such as smoke, pollen, pet dander, dust, and molds that may worsen asthma and other breathing problems. Because the flu virus can also worsen breathing problems, ask your doctor or pharmacist if you should have a flu shot every year. In adults, this medication can increase the risk of bone loss (osteoporosis) if used for a long time. Talk with your doctor about your risk, and about available treatments for osteoporosis. Lifestyle changes that reduce the risk of bone loss include doing weight-bearing exercise, getting enough calcium and vitamin D, stopping smoking, and limiting alcohol. To help prevent osteoporosis later in life, encourage children to exercise and eat a healthy diet (including calcium). MISSED DOSE: If you miss a dose, skip the missed dose and resume your usual dosing schedule. Do not double the dose to catch up. STORAGE: Store at room temperature away from light, heat, and moisture. Do not store in the bathroom. Store the inhaler with the mouthpiece down. Do not puncture the canister or use near an open flame. Keep all medications away from children and pets. Do not remove the inhaler from its original foil package until ready to use. Discard the inhaler 3 months after you remove it from the original foil package or after all the doses have been used, whichever comes first. Do not flush medications down the toilet or pour them into a drain unless instructed to do so. Properly discard this product when it is expired or no longer needed. Consult your pharmacist or local waste disposal company for more details.